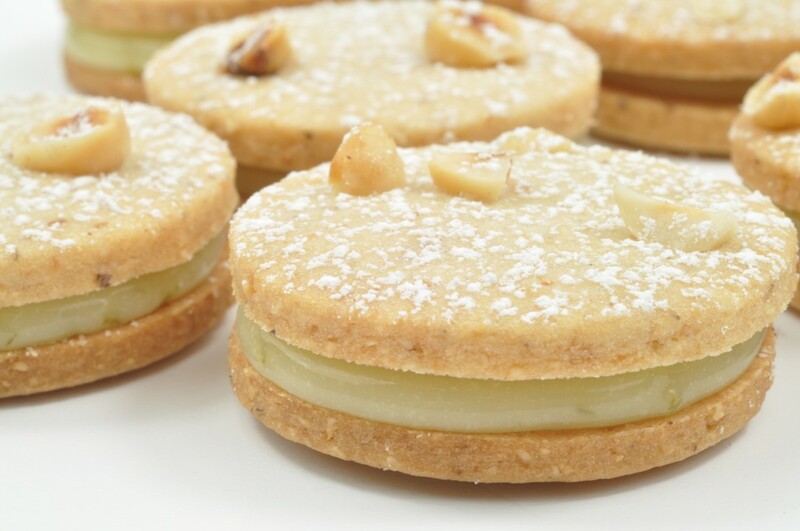 Toasted hazelnuts deliver an incomparable flavor to this shortbread. For optimum flavor, toast hazelnuts in a medium temperature oven until the heart of hazelnuts are golden brown. I do not advise to grind hazelnuts in a food processor without another ingredient present; it most often leads to hazelnut paste. Adding pastry flour to the toasted hazelnuts prevents this from happening. 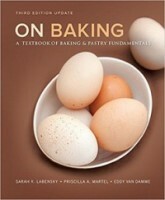 For optimum flavor prepare dough at least one day in advance as in most cases a fuller aroma develops. Lime Curd, recipe from On Baking pg 493. 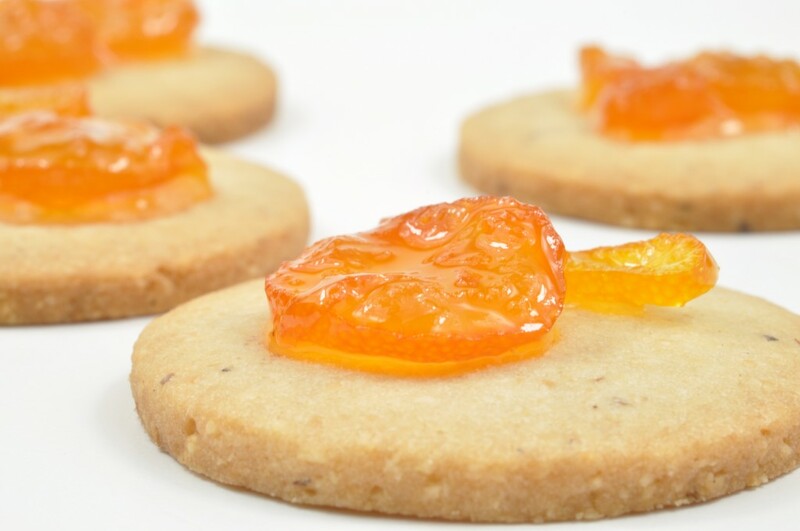 Place a small amount of candied kumquats onto pre-baked hazelnut shortbread. Pipe chilled lime curd onto kumquat and top with another shortbread. Mix butter and powdered sugar until well blended but not creamed. In a food processor combine toasted and cooled hazelnuts with pastry flour and process until hazelnuts are ground finely. (Similar size as polenta). 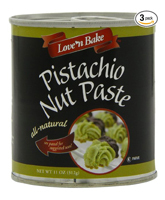 Add hazelnut and flour mixture to butter mixture and mix until just combined. Place in a refrigerator until cold enough to be rolled. Roll the dough on a lightly floured surface about 3 credit cards thick and cut into desired shapes. If desired sprinkle with chopped hazelnuts. Bake at 350°F (180°C) until light golden brown, about 12-14 minutes. 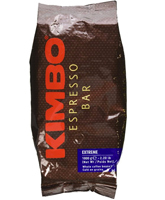 *Use flour with protein content between 8.5% and 10%. In this recipe could hazelnut be substituted with almonds or is that hazelnut brings all of the flavors together better than almond? Chef, does the candied kumquat still has the bitter-sour taste from the skin or was it candied without the skin on? This looks amazing, not a fan of kumquats but will give this a try. 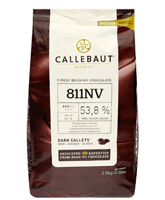 Can the candied fruit be substituted by others that wont overpower the hazelnut shortbread, flavor wise? I am not a fan of kumquats, and i want to know if i leave it out will it still be the same. I have never used Kumquats before, but this recipe sounds very interesting and the Hazelnut Shortbread sounds delicious. gorgeous combination color of the sort bread, hope can taste with some jack fruit jam.